Saturday proved to be yet another adventure for me. Earlier last week, the girls at work started to develop an interest in crystals, thanks to our newest team member, Olive. The result was a decision to pay a visit to Quiapo, the part of Metro Manila where you can find practically everything. In order to get there, you can drive or take a cab. I suppose buses and jeepneys can also get you there, but you'd have to know the route. We decided to take the LRT instead. From Eastwood, we took a cab to Gateway Mall in Cubao, where the LRT-MRT station is. While it was NOT my first time to take the LRT (contrary to what some people kept saying :p), I found it quite exciting. 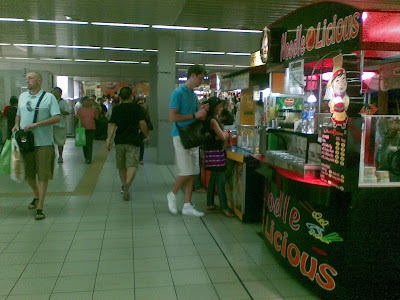 There was a plethora of food stalls at the station. It was more than enough to make your head spin! Ticket-dispensing machines that, for some reason, would not take my 10-peso coin. The fare from Cubao to Recto is 14 pesos. Compare that to more than a hundred if we had taken a cab! 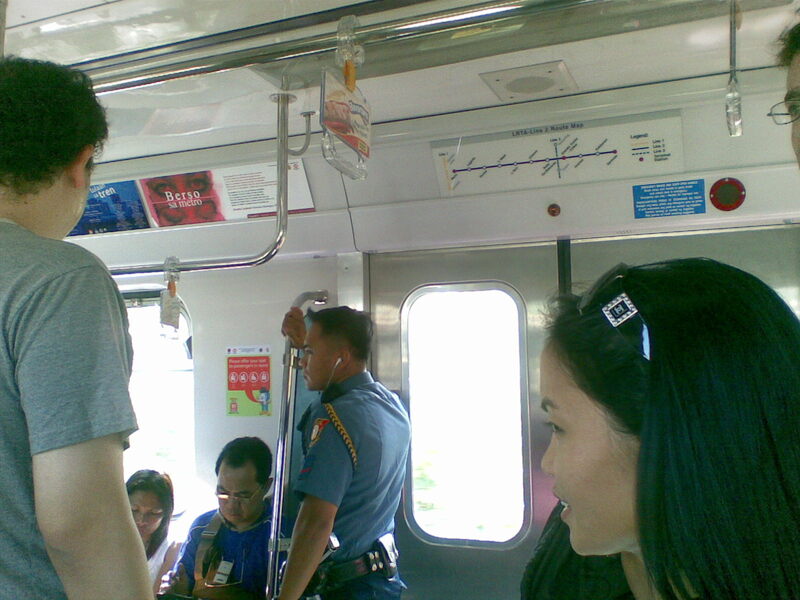 You get to see all sorts of people inside the train. See that policeman listening to his mp3 player? If a slight disturbance had occurred, he probably wouldn't have noticed. The good thing about this trip is that the train wasn't that full, so it wasn't much of a pain. In fact, it was quite enjoyable. 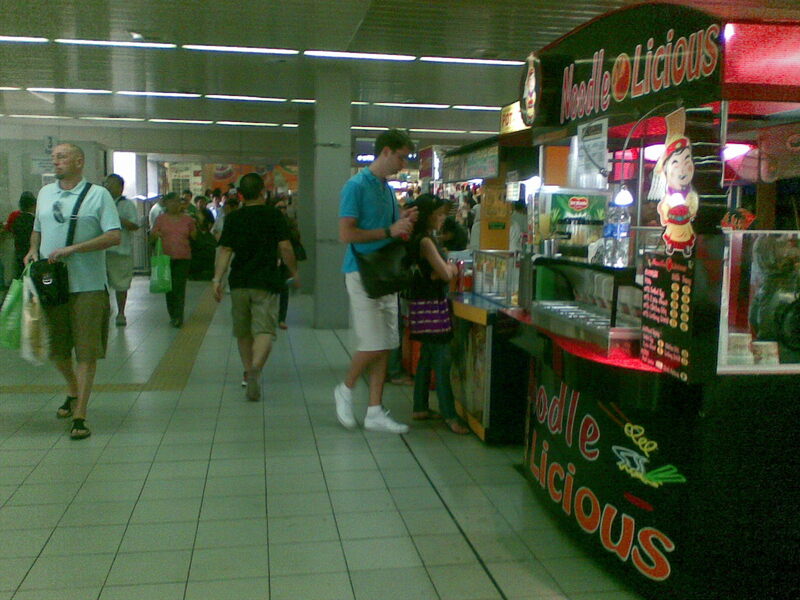 At Recto Station. People were waiting across the tracks for the train. From the Recto Station, we had to walk about 10 minutes to where the crystal vendor had her stall. The streets were dirty and small, but there was so much to see! 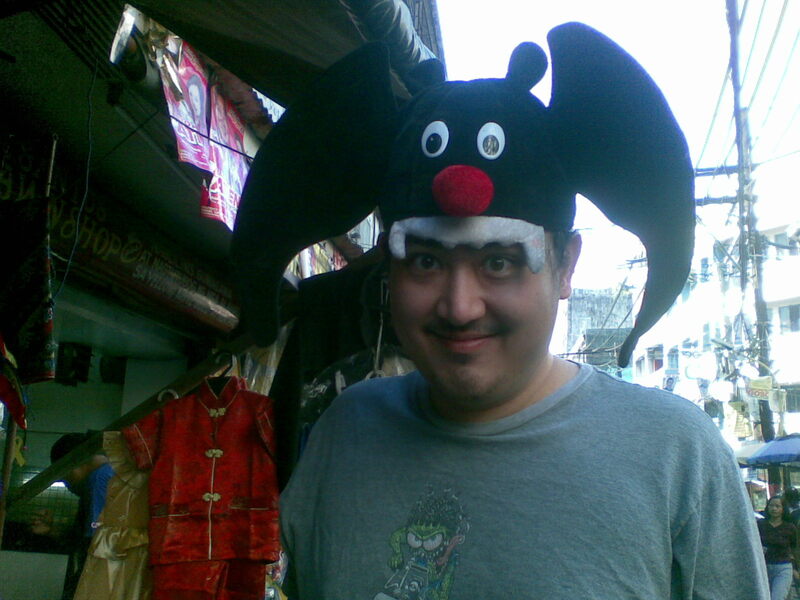 See, even Gui enjoyed himself (we were just getting started when this photo was taken, that's why). Joff had to have his pic taken wearing this hat. It would have been perfect for one of our office parties! 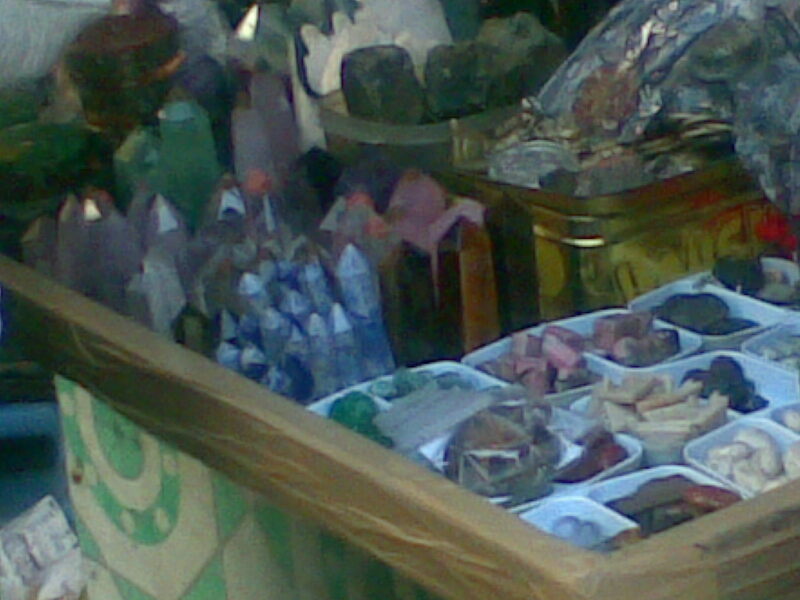 And those are the beautiful crystals and stones that the lady had for us. There weren't that many, but for first-timers, they were short of overwhelming! I found out that I really like lapis lazuli - probably because of its blue hues. It's lapis lazuli in resin. Isn't the mixture of the blue and metal flecks just beautiful? This is the best purchase I made, though. An elephant pendant made of lapis lazuli. I can't wait to get a chain for it! After making our purchases from the first stall, we decided to take another walk to a store which had beads and loose stones. My main "mission" for that day was to find amethyst beads. Amethyst is a purple stone that helps calm you down and helps with insomnia. On the way, we passed through more stuff - it just blew my mind! 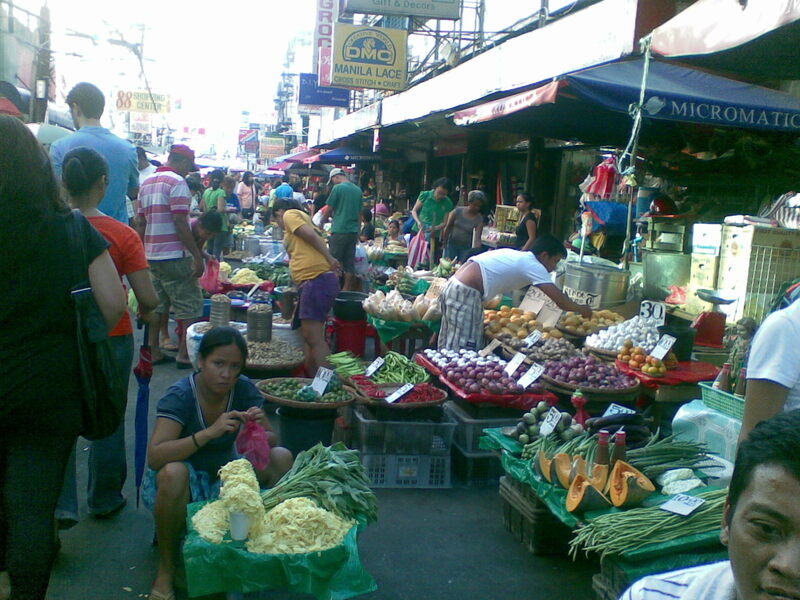 The market was relatively clean and you could find everything! If it weren't so far, I would have done some shopping there! Seriously, you can buy anything your heart desires in Quiapo - even diamond engagement rings! This place, while some people say it's dirty and unsafe, is underrated. The negative publicity is overrated. If you want to get out of your shopping comfort zone and experience a little bit of culture as well (the Quiapo Church and the shops around it are very very interesting), I suggest you set aside an afternoon and just go to Quiapo. It's quite cheap, too - several thousand pesos will get a long long way. I was beat by the time we got back to the Recto Station, but it was a good kind of tired. Oh, and our adventure didn't end there. We had dinner at this nice little cafe, which I will write about in a while. What is the name of the store? 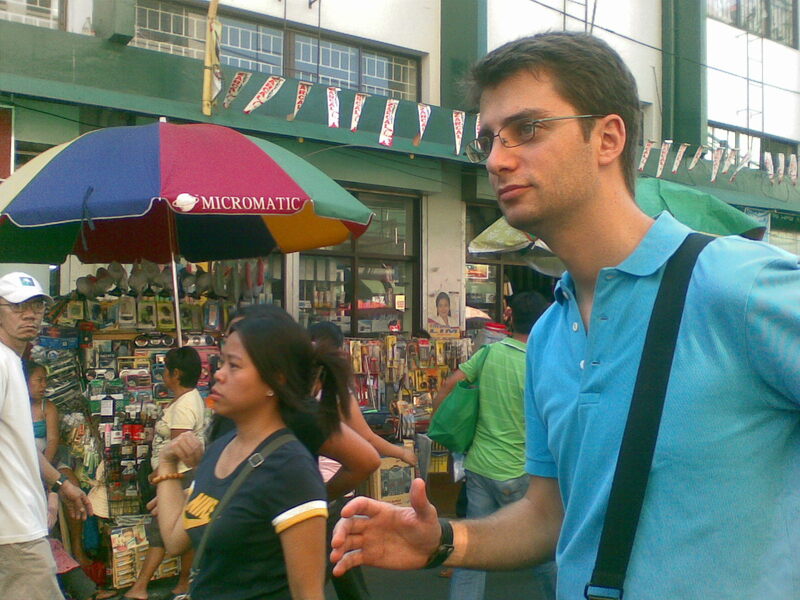 and which street in quiapo was it?